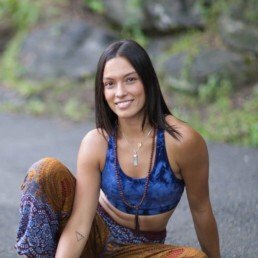 Natalia is an inspiring yoga teacher whose purpose is to lead her students into a space of self exploration. Playful but precise each class is a craft of intention, meditation, mantra, creative asana sequences and breath where students will be challenged yet encouraged to unite mind and body to build a strong and mindful practice. Uplifting music, precise cueing, demonstration along with hands on assists make it an inviting space for all yogis whom leave feeling grounded yet so light.